With Viraltag's Post Recycling feature, you can fill up any empty time slots in your posting schedule. This way you're not compromising your posting frequency, have constant engagement at all times, save time and increase traffic. At times, you might want to stop Evergreen content from going out. (For example - when there is an unfortunate natural disaster, or when your promotional period ends) The 'Pause' feature helps you do just that! Here, you have the option to Pause your Evergreen queue for all social profiles, or for individual social profiles. To stop Evergreen content from going out to all profiles, switch the 'Pause' button at the top of the dialog box (Next to All profiles) on. 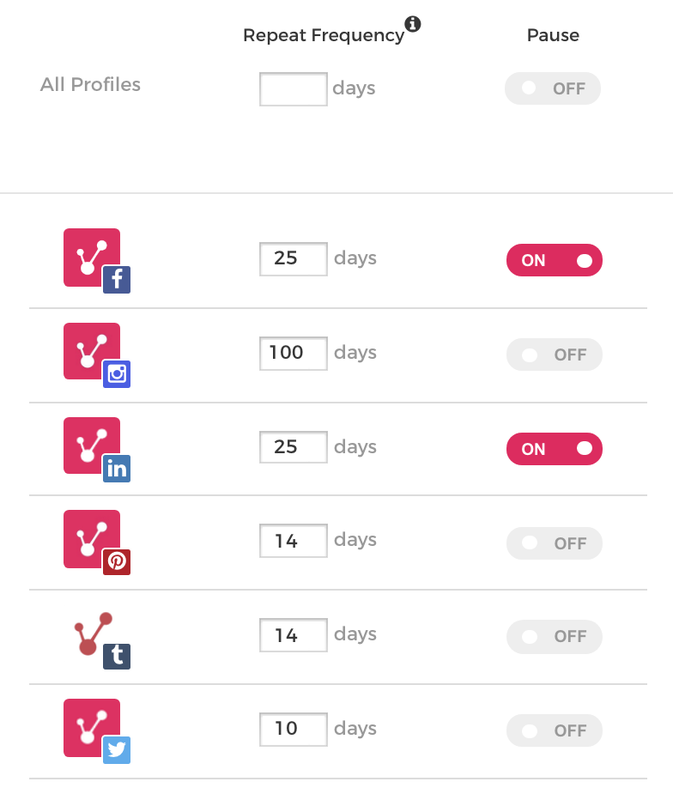 To stop your queue for each individual social profile, slide the 'Pause' button on for respective social profiles. 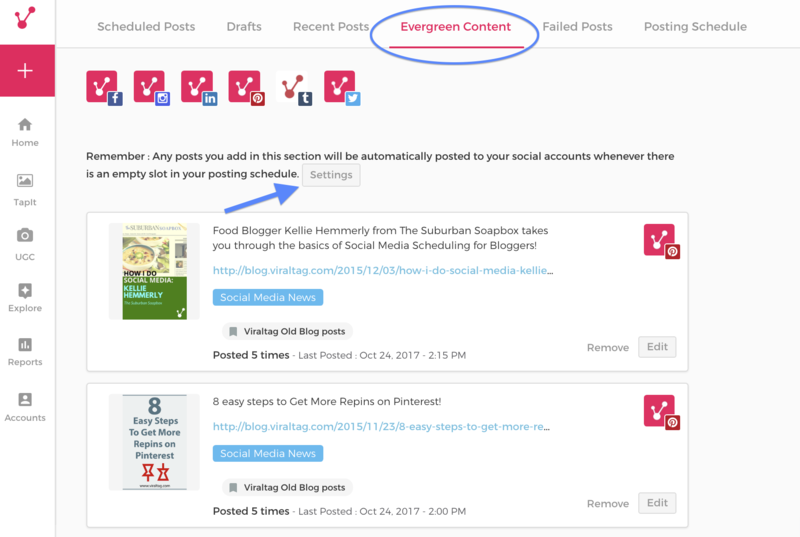 Hope this feature makes managing Evergreen content easier for you guys! For any questions or doubts/questions feel free to reach out to us via the in-app chat or through support@viraltag.com.